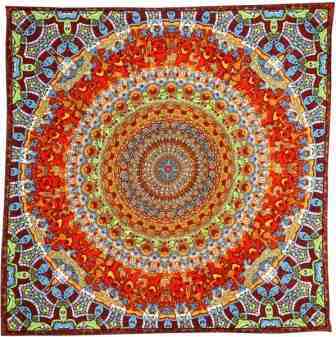 The Grateful Dead Dancing Bears are marching and vibrating on the design of this bandanna. It is a super high quality bandana that is made of 100% cotton. It measures 22" x 22" and was designed by Chris Pinkerton. Officially licensed Grateful Dead merchandise. Cool bandana,good size , good quality , nice colors , and everyone complimented it. Good for anything and great for the dead heads x) Def buying more from here.